This is about how to do a cleanse from a functional medicine perspective. Sane. Grounded. Safe. Read the sister post to this, Detox Phases 1, 2, and 3. Want to do a cleanse but not sure how? And many more! What does cleanse actually mean? On a physical level, it’s a temporary period of time when you do something intentionally to “purify” your body, or release stored toxins. Many approaches can work to activate the mobilization and removal of toxins. From a functional medicine perspective, there’s no one-size-fits-all approach. People are different, right? For example, liquid cleanses or fasts aren’t for everyone. Some people need food. So to back up, what do we mean by toxins? This is worth understanding. The words toxin and toxic get thrown around a lot, But what do they really mean? The classic definition of toxin is a poisonous substance that’s made by a living organism (biotoxin). In your body, this is the toxic byproducts of microbes (bacteria, archaea, mold, fungi, spirochetes, viruses and yeast), known as endotoxins. This is mainly a problem if you have an overgrowth of harmful microbes in your gastrointestinal tract or elsewhere. The colloquial use of the term toxin encompasses environmental, or external, toxins that you take in willingly or not, such as chemicals from pollution, heavy metals, alcohol, drugs, and medications. The number of chemicals we are exposed to increases yearly. Some environmental toxins get packed away in various body tissues, including fat cells. So in your body, endotoxins from microbes and external toxins from the planet and your local pharmacy and liquor store do wreak havoc, and it’s certainly worth making a project to clean them out. Your body DOES get rid of toxins on an ongoing basis. However, often you can’t keep up with the load. This is when you can focus on detox as a project. How does getting rid of toxins work? As we discussed here, if you don’t produce at least one #4 Bristol stool per day (or close to it), don’t go on a cleanse – yet. Why? You may create volatile, reactive, semi-processed chemicals that you will not be able to get rid of properly! This could mean reactive oxygen species (ROS or free radicals) that will cause inflammation and tissue damage. Also, the endotoxins from your gut can get reabsorbed, and cause widespread inflammation and pain. If you’re not a good pooper, then you’re a candidate to check out dysbiosis, and address it first. You may also need to investigate food intolerance. Do these projects first before embarking on a focused cleanse. This is the fun stuff. You can design your own combination of foods and supplements to activate Phase 1 and 2 of liver detox. Or, you can use formulas that already exist, as most quality supplement and herb producers have good detox formulas. Also, fasting will activate detox pathways. Don’t forget Phase 2! This is the phase that tends to be more sluggish and you do not want to activate Phase 1 without supporting Phase 2. Choose Phase 1 and 2 activators from this sister post. Or, choose a formula. It’s also essential to get all essential amino acids during a cleanse. Your liver needs these. When you fast, even overnight, your body uses up your stored sugar (glycogen). This usually takes 8-10 hours. Afterward, you dig into your fat cells for energy, which releases toxins. It also turns on autophagy (pronounced aw-toff-a-gee), which is when your cells clean out debris. The longer you fast, the more time you have for autophagy. For those with GI microbial overgrowth, you’ll get more waves of your migrating motor complex, a sweep-out cleanse of your small intestine. There are so many approaches. My favorite approach is: fast each night for 16 hours, a form of intermittent fasting (IF). This gives you up to 8 hours after glycogen is used up for digging into fat stores, autophagy, and MMC action. You can also fast for a longer period of time as part of a cleanse, like 1 – 5 days. Get medical supervision for these longer fasts. One fast I see great results with is the FMD (Fasting Mimicking Diet), which is only five days. It’s recommended to do the FMD once a month for three months. Diabetic (but absolutely consult your doctor)! Fasting does put you in a stressed state, but there’s evidence that you move beyond the stress after a certain number of hours. Hence, you need to be a person who can handle this. If you feel “hypoglycemic” – like you’re going to die if a meal is delayed, you actually could benefit from fasting for a metabolic reset, or it could be a bad idea. Consult your health care provider! If you’re in this group, the stress from going without food is not good for you. Why? Because the above signs indicate a strong likelihood of HPA-D, formerly called adrenal fatigue. Fasting/juicing and HPA-D do not mix. For your cleanse, do it with food. You need a significant amount of amino acids in order for your liver. Amino acids come from breaking down your body (which you don’t need), or from ingested protein (preferable!). You need fiber to bind with toxins and move them out through your colon. Fiber is in whole vegetables and fruits, however, it’s removed from juices. Healthy fats are essential to stabilize your blood sugar. 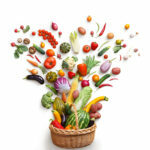 Eat clean: Organic to avoid pesticides, and whole food to avoid additives. Add anti-inflammatory fats: Omega-3 fats from clean seafood, plus olive and avocado oils. Combine glutathione with Omega-3 fats! This is important. Omega-3 fats are anti-inflammatory only if they don’t oxidize (think spoil) first. To prevent this, take glutathione, your body’s master antioxidant, with your Omega-3s. Take a form that is well absorbed, like Apex (patients only) or Quicksilver. Eat lots (5-7 servings) of organic fruits and vegetables per day for the nutrients and fiber. Hydrate with decaffeinated fluids, aim for 60-70 oz per day, or 2 liters. Add Phase 1 and 2 detox activators, such as selections from this post. The good news is that glutathione is key to activate phase 2. Add fiber, to bind with toxins. My favorites are Megaprebiotic, Arabinogalactan, and Paleo Resistant Starch. Consider binders if you have gut dysbiosis, to add another level of binding endotoxins. You can use activated charcoal, and I love Ultrabinder and GI Detox. All binders need to be away from food by two hours. First week: Clean eating during a 14 hour window, with a preparatory, ramp-up dose of detox supplements. Second week: Clean eating during a 16 hour window, with a full dose of detox supplements. Third week: Clean eating for 12-14 hours, with a wind-down dose of detox supplements. Wind down during your detox. You don’t want to detox while jacking up your stress hormones. Remember HPA-D and detox do not mix. So get your stress in order. Use these tips. Add restorative yoga, meditation, journaling, or infrared sauna time. It’s also important to sleep well and enough. Eight hours per night is a minimum. Nine or ten is ideal. Give your body time to rest, clean and repair. Move, move, move! Any movement is great, and sweating has an added bonus, as 1% of sweat is composed of toxic waste. Special caution here: If you have HPA-D, tone down exercise. Do move, but don’t overdo. Dysbiosis. If you wonder if you have dysbiosis, you can take a stool test prior. Tailor your detox to knock down bad microbes and build up good ones. Best test: GI Map. Chemical toxins. Which toxins do you harbor? You can test for biotoxins, such as mold. You can also test for metals and various chemical exposures. Best bet: Great Plains for environmental toxins or myco (mold) toxins, Quicksilver for metals. Detox capacity. What is the status of your body’s master antioxidant glutathione? Your levels of B vitamins? Your oxidative stress? Target your detox supplements and foods more accurately. Best bet: Organix. Hopefully this gives you a bit more of an idea how a custom functional medicine detox works. You may also want to check out Detox Phases 1, 2, and 3. Please do ask questions or make comments below! 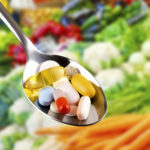 Vitamins & Supplements: Can You Trust Your Brands?